Launched in 2018, Casino Joy is a new member of the Genesis Global Limited casino family. Already operating the brands such as Casino Cruise and SpinIT, the company has a proven track record, so you can rest assured that the latest addition to the casino family will provide you with the same level of quality. A selection of games on offer is stellar with titles by some of the leading names in the industry included. Using a light theme in blue and pink, Casino Joy grants a smooth user experience whether you access it from your desktop or mobile device. You can enjoy a full range of casino games here with slots, jackpots, table and live dealer games at your fingertips. With Casino Joy you are in safe hands since it employs the latest security measures and supports a range of convenient banking methods. A welcome package that awaits all new customers won’t disappoint you either, so stay with us to learn more about this exciting gaming venue! All players who create an account and make their first deposit of $10 or more will qualify for a welcome package consisting of up to $1,000 in bonuses and 200 free spins on top. Your first deposit will be matched with a 100% bonus up to $200 plus 200 free spins on Starburst. On your second deposit, you can claim a 50% bonus up to $200 with the code WJOY2 while the third deposit is followed by a 25% bonus up to $300 if you enter the code WJOY3. The same bonus can be claimed on your fourth deposit with the code WJOY4. As an existing customer at Casino Joy, you can benefit from weekend freebies if you have made at least two deposits of $50 or more within the past seven days. Just check your inbox on Thursday nights and find the gifts the casino has prepared for you. Another attractive promotion is a 25% reload bonus up to $100. Make a minimum deposit of $10 and choose the Tuesday Pool Party promotion to get a bonus added to your account. Casino Joy also offers a loyalty scheme with special rewards for VIP players. They include a dedicated account manager, exclusive bonuses and promotions, access to exclusive events, monthly prize draws, personalized birthday presents, holiday packages and personal withdrawal service. Being a modern gaming establishment, Casino Joy runs on an instant-play multiplatform. No download of software or games is required, as its gaming content plays seamlessly in any web or mobile browser. Just enter its address into your browser and start an adventure. When it comes to software developers contributing to the gambling site, they include some of the industry giants such as Microgaming, Play’n Go, Quickspin and Yggdrasil, to name a few. More than 1,300 games are on offer including live dealer tables brought to you by Evolution Gaming. Slot machines comprise the biggest part of the game collection with hundreds of titles available. In the Hot Games section you can find some of the all time favourites such as Immortal Romance, Book of Dead and Vikings Go Berzerk. 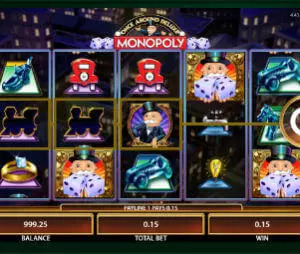 At Casino Joy you can win some life-changing sums if you try your luck on progressive slots like Mega Moolah, Leprechauns Go to Hell or Gunslinger. All slot games are nicely organized into categories and subcategories allowing you to browse video, classic, jackpot or new slots without difficulty. Those who are more into traditional casino games can choose from a plethora of virtual and live table and card games. When it comes to RNG-operated games, dozens of Blackjack and Roulette variants are on offer as well as Video Poker, Baccarat, Poker, Bingo and scratch cards. If you are into more realistic gaming experience, visit Live Casino and join more than 70 tables hosted by real-life dealers. They offer Blackjack, Baccarat, Roulette and Poker games. Casino Joy supports a wide array of banking options players can use to fund their accounts and clear their winnings from them. They include Visa, MasterCard, Maestro, Neteller, Skrill, Entropay, EcoPayz, Trustly, entercash, Zimpler, Sofort, PaySafeCard, GiroPay, Boku and Euteller. A minimum deposit allowed is $10 while the maximum amount you can deposit is $5,000. Up to $22,000 can be withdrawn per month or $5,500 on a weekly basis. Cashouts are processed instantly or within up to 5 working days, which is the case with withdrawals via bank transfers. Knowing that Casino Joy has just been launched at the time of writing this review, we have to hand it to the operator for all the work that was done here. It plays seamlessly, offers a full range of casino games that are well-organised and supports both major international and local payment methods. Deposit and withdrawal limits should suite all kinds of players. The good part is that the progressive jackpots you can win here are excluded from them. This proves that the operator has paid attention to each and every detail when building the gambling site. The Malta Gaming Authority and of course the UK Gambling Commission, the most trustworthy gaming body, grants with its licence that the casino fulfills all the industry requirements. So, you can join it without worries about fairness or safety.